My Pet Canary Bird, Timmy, Is A Roller And Is So Inspiring! 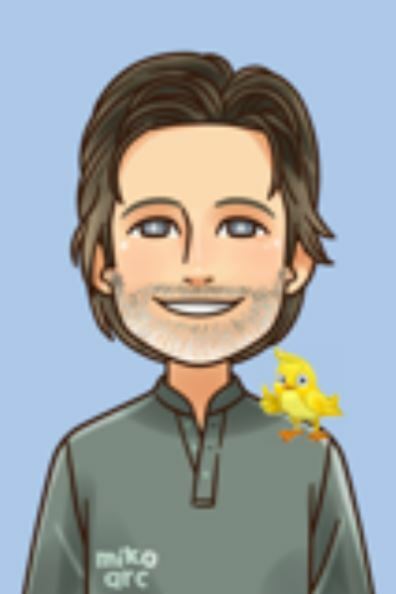 I always keep, Timmy, my canary in his cage, so he needs my company. I blow gentle breezes on him - he loves this, and when we had the hot weather I sprayed him down several times a day (about 10 sprays) with cold water. I always have music playing in the house for him, so he is never lonely. a CD of canary songs. Now a year later, he is the happiest bird! He is spoiled every morning with a different variety of fresh, organic lettuce and fruits and vegetable bits. I love him so much and always tell him he is the "joy of my life". He is a Roller and is so inspiring! If I want to feed him something new, I always check with you first, Darren. 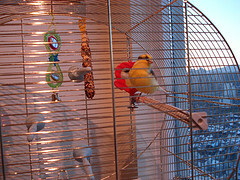 Comments for My Pet Canary Bird, Timmy, Is A Roller And Is So Inspiring! Wow this is looking very beautiful,So happy to read your post.I love to its Its beautiful song and color and its charming nature,How beautiful they are looking.Thank you so much for sharing this lovely post.